Our long-planned home-exchange for a house on the beach in Panamá was a complete bust. Our erstwhile "partners" neglected to inform us until the day before our arrival that the beach cottage they had promised us for two weeks was having an entire second floor added and was thus incapable of housing anyone. Oops. Such discourtesy, however, turned out to be a fortunate turn of events for us; destiny then took us past Gorgona, the site of the debacle, about 20 miles further west along the Pacific Coast to Santa Clara and a paradise called Las Sirenas. Las Sirenas is a two-level compound of casitas for beach vacations: five up on the top of the hill overlooking the Pacific and six more in duplex style on the beach. We - Kurt, Linda, and favorite daughter Belén - spent most of those two weeks in June in Casita #3, a palace on the hill with two bedrooms and two baths and two hammocks hanging from the porch columns. And a private parilla in front of that and a large bohio some meters more toward the edge of the hill which is a great place to lie back and marvel at the stars on those perfect clear nights. Also good for lounging on those perfect cloudy nights. 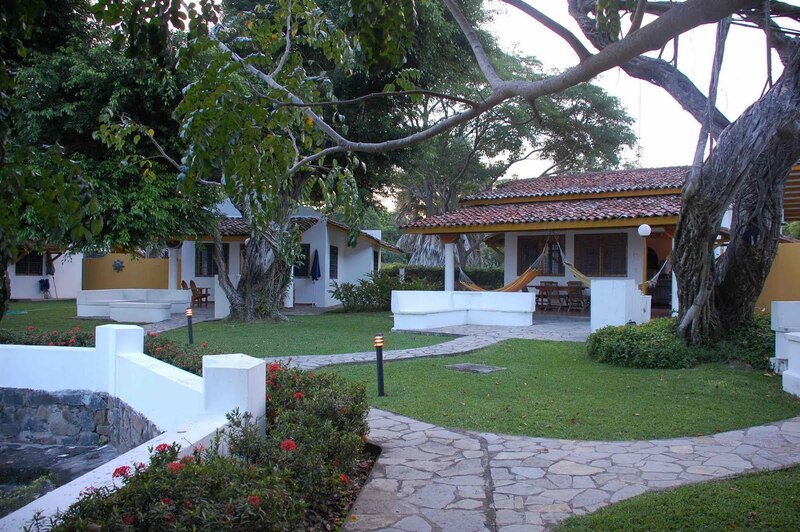 More photos of the complex and our casita here. 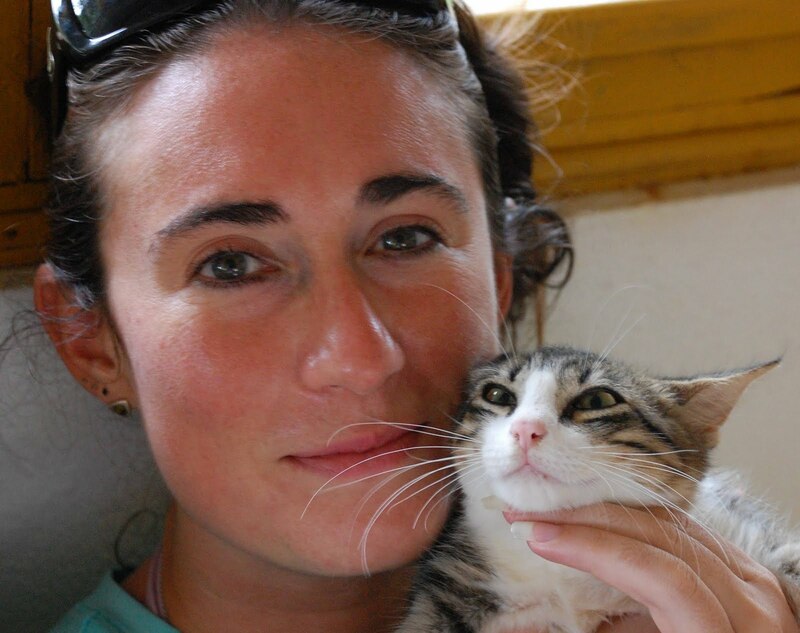 Every casita in Las Sirenas is patronized by a group of some four to five resident cats, all related and all usually ready to eat, although some are friendlier than others. During our stay at Las Sirenas, Belén finished the final edits of her new book and wrote an article for Al Jazeera. Among other things. 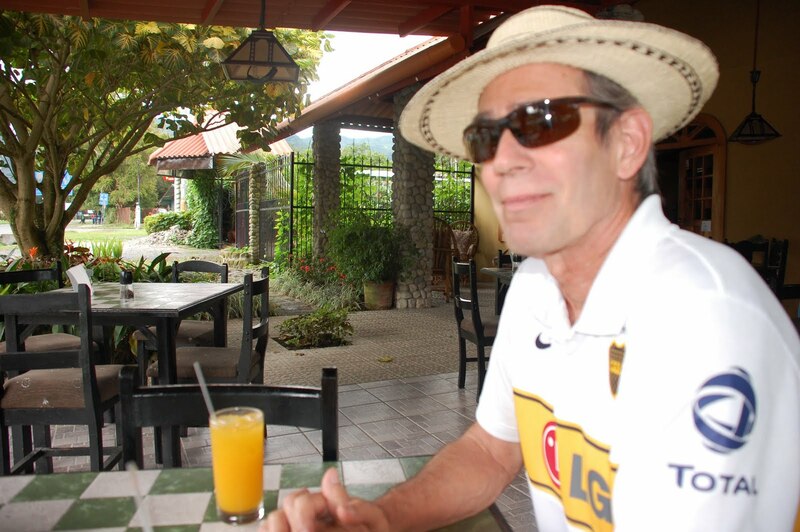 Kurt and Linda were left to their own devices: besides the usual beach/sea activities, they made several visits to El Valle de Antón, a little mountain village about a 40-minute drive from Santa Clara. 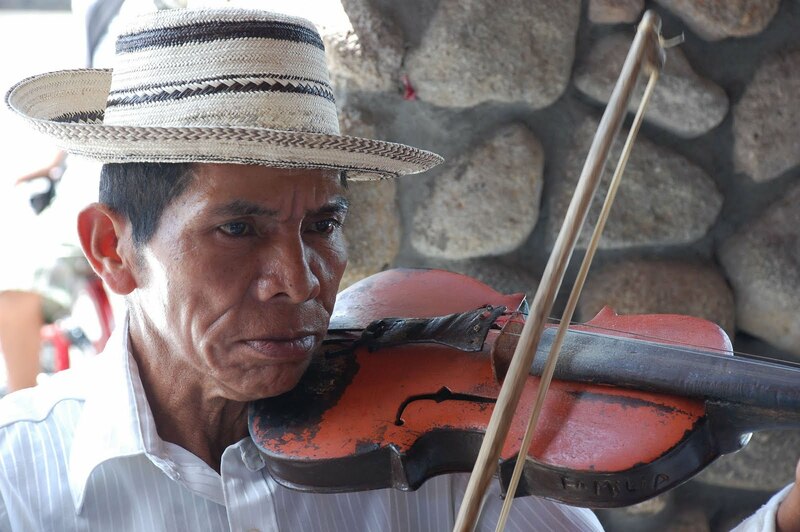 The town has a very pleasant central mercado with artesanias and fresh produce, where Kurt acquired his authentic Panamanian hat and where we had a chance to hear Marcelo playing his home-made violin. El Valle also is the starting point for several hiking tours into the mountains. 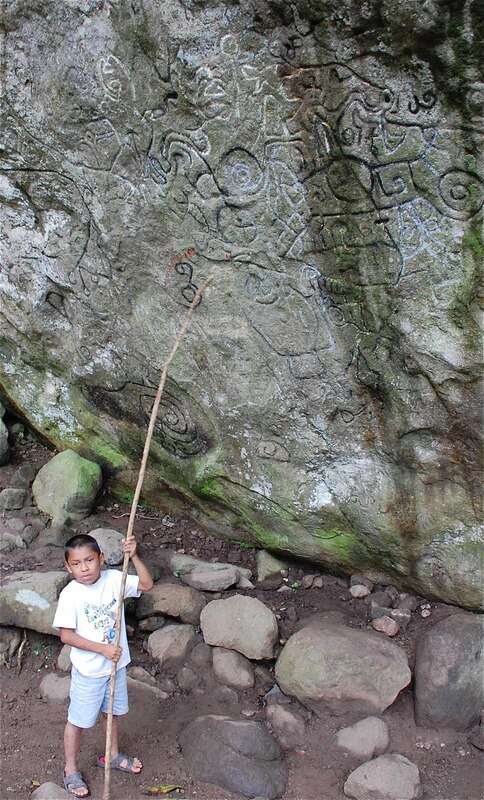 One morning we ventured along the trail leading past the Piedra Pintada, the most important of whose pictographs were interpreted for us by Jesús Segundo, who miraculously appeared as soon as we stopped in front of the stone. His pointing palo was waiting for us all. After paying Jesús Segundo the modest $1 fee he required, we followed the trail on up the mountainside past several waterfalls and pools set within a lush tropical background (photos here). Then we made our way carefully back down for lunch at a nice cafe just across the main street from the public library. As we did on all our other visits to the cafe, we watched the stready stream of bikes going up and down the street, most with one rider on the seat and another on the frame. When it rained, which was fairly common, most people steered with one hand while holding an umbrella with the other. Our last day in Santa Clara featured a tour of nearby Farallón, a small beach village bombed by the U.S. in December 1989 as part of the invasion of Panamá. 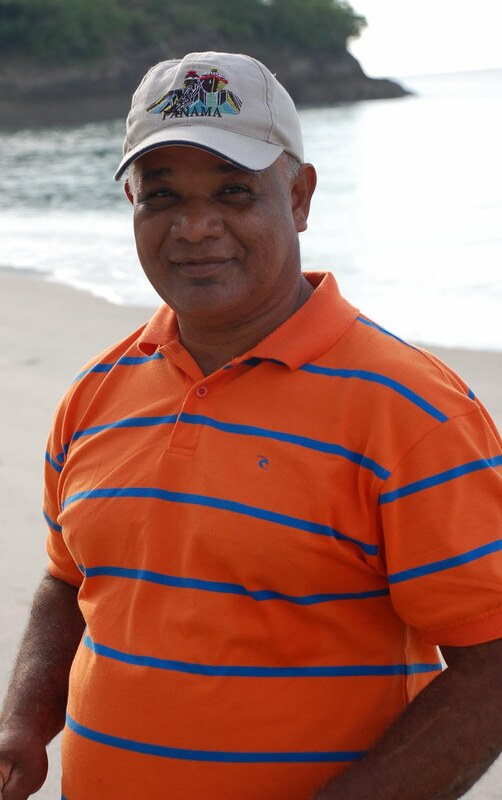 Don Tenorio, who has worked at Las Sirenas for the last 38 years and who survived the raid, showed us what remained of the beach house owned by Panamanian dictator Manuel Noriega, target of the invasion but absent during that bombing run. 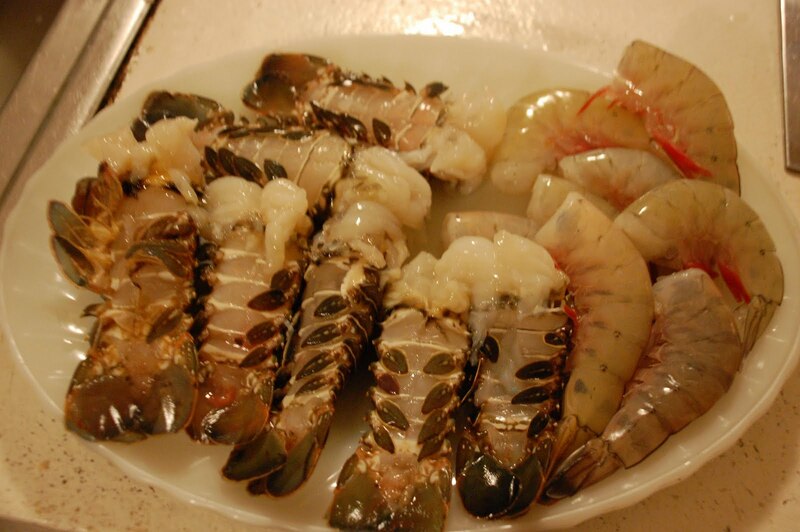 Don T. also lead us to the local fish market, where we paid $22 USD for eight lobster tails and eight jumbo shrimp that Kurt grilled for the farewell feast that evening. Photos of the excursion here. Early the next morning, before heading back to the city of Panamá, we walked down our beach to watch the fishing nets being pulled in from the shore. Photos here. 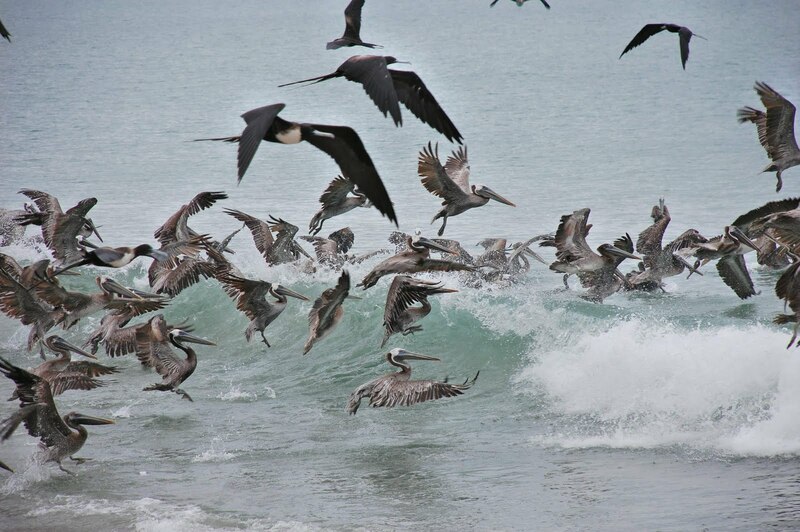 We left as the sea gulls and pelicans did battle for the spoils. Impressive, as is obvious from the photo below that Kurt took at great peril to himself and Linda's camera. 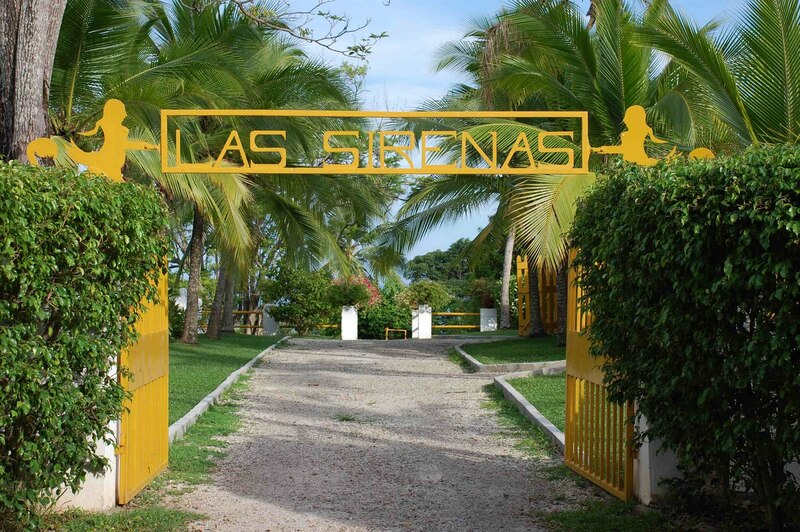 If you're thinking of a Las Sirenas vacation - and who wouldn't be? - go soon. The complex has been sold to developers and the destruction unfortunately will start in 2013. Click here for more photos of beautiful Playa Santa Clara and one of its sirenas.